Orlando Accident Attorney | Florida Injury Lawyer | Michael Mandevill, Esq. 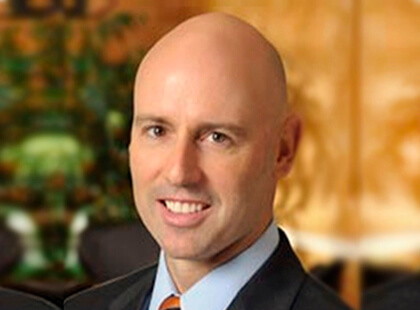 Florida Injury Lawyer, Michael A. Mandeville, Esq., earned a B.S. in Accounting from the University of Central Florida. He also holds a Juris Doctorate (J.D.) with honors from the Florida State University College of Law. He started his career defending insurance companies in injury claims. Mr. Mandeville has used that experience over the last 20 years in taking personal injury, medical malpractice and workers’ compensation matters to trial. Mr. Mandeville has obtained multiple, million dollar jury verdicts and settlements on behalf of his clients. Michael A. Mandeville, Esq. is a member of the Florida Bar Association, the Florida Justice Association, the Orange County Bar Association and the American Bar Association. Mr. Mandeville is admitted to represent clients in both state and federal courts throughout the state of Florida. He has also achieved the highest rating, an “AV Preeminent Rating”, from Martindale-Hubbell, the most respected national legal ratings service. Less than 20% of all attorneys ever achieve this rating. If you or someone you love has been in an accident or injured by someone else’s negligence, please do not hesitate to contact our accident lawyer at the Law Offices of Michael V. Barszcz, M.D., J.D. To learn more about Michael A. Mandeville, Esq., or Michael V. Barszcz, M.D., J.D., please contact our Orlando Accident Attorney today; we serve clients in and around the Orlando, Florida area.